What a year it’s been. When I first started writing for Zelda Informer almost exactly a year ago; we were days away from the 2016 Video Game Awards and still salivating at the mouth for even the slightest bits of new information about the Nintendo Switch and The Legend of Zelda: Breath of the Wild. During that time, the Switch released to massive success, Nintendo re-established themselves in the video game market, and Breath of the Wild came out and completely reimagined the Zelda series. 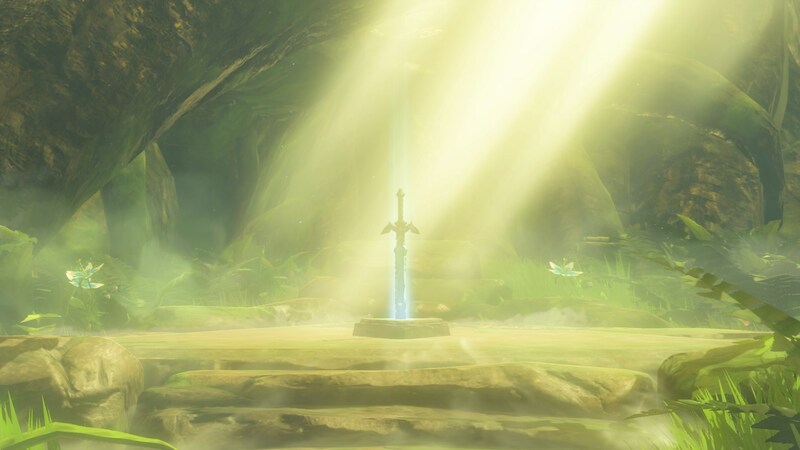 Figuring that Breath of the Wild was symbolic, Zelda Dungeon and Zelda Informer have decided to embrace the same reimagining that the latest Zelda title did. As some of our readers might know, Zelda Dungeon and Zelda Informer are owned and operated under the same umbrella, with the latest news and coolest features being hosted on Zelda Informer, while Zelda Dungeon backs it up with the best walkthroughs on the net. Like Breath of the Wild did with the Zelda series though, it’s time for us to evolve. You’ll notice that the site layout is now a little different. This is because Zelda Dungeon and Zelda Informer are merging to become the singular site: Zelda Dungeon. Functionally, probably not a whole lot, as the site will operate mostly the same. What this does mean though is that our users no longer have to jump in between Informer and Dungeon to get the latest news and guides, to comment in articles, and to use the forums. We’ve taken the best of both worlds and integrated them together. Zelda Dungeon will largely retain Zelda Informer’s layout, but with a few improvements and a much needed facelift. You’ll see in the new layout a revamped navigation banner; no more hassle, no more six-game banner bar (let’s face it, that thing was pretty awful). You can now easily access all the guides, news, original content, and more from the drop down menu. Simple, but effective. Dungeon’s game slider will now be integrated with Informer’s easy access to content, and the site will be sporting a new logo. In the coming weeks, you’ll also be able to navigate by author more effectively. Each author will have a bio you can click on, so if you read a thought-piece from a particular author you really liked (or hated) and want to read more of their work, you can click on their profile, get to know them a bit, have access to their social media, and check out their other articles there. Lastly, if you get your news from Zelda Informer or Zelda Dungeon via social media (which a lot of people do on Facebook or Twitter), no problem; Zelda Informer and Zelda Dungeon on social media will stay exactly the same, so you don’t have to worry about re-following anyone on Facebook. Zelda Informer the website will remain active for a short period of time, but all new posts will be on Zelda Dungeon; this will in fact be the last new post on Informer. Eventually, the domain for Informer will redirect you towards the main Dungeon site. Longtime Informer readers, worry not — it will feel like nothing has changed. You might experience some hiccups initially in the site merger; all past content has transferred over, but some of the image formatting might be a little funky at first. Also, some of the comments from previous articles might take a little bit of time to come over properly as we work with Disqus on the new site formatting. All of these are minor issues that should be fixed sooner rather than later. Long story short: there’s never been a better time to be a fan of Zelda Dungeon. A new site layout, increased ease of use, and the best Zelda content on the net all in one place. Welcome to the new Zelda Dungeon. We hope you enjoy your stay. Andy Spiteri is a Managing Editor at Zelda Dungeon Informer. For any questions nor answered here, leave a comment or reach out to him on Twitter.